As earnings season kicks off, analysts expect banks to report a rough third quarter, with one notable exception. The earnings season for the financial sector kicks off late Tuesday, when JPMorgan (JPM) reports its latest results after the markets close. Both Bank of America (BAC) and Wells Fargo (WFC) will report how their companies performed in the period ending Sept. 30 early Wednesday, followed by Citigroup (C), Goldman Sachs (GS) and Charles Schwab (SCHW) on Thursday. Morgan Stanley (MS) plans to report its latest results on Monday, followed by Bank of New York Mellon (BK) next Tuesday (Oct. 20) and Ameriprise Financial (AMP) and Raymond James (RJF) next Wednesday (Oct. 21). Later in October, TD Ameritrade (AMTD) and LPL Financial (LPLA) will report their Q3 earnings (on Oct. 27 and Oct. 29, respectively). UBS (UBS) is set to share their results in early November, while Stifel Financial (SF) and RCS Capital (RCAP) aim to report earnings later next month. “Banks had to deal with a tough operating environment over the summer, with modest gains in the core loan portfolios offsetting the mixed capital market business, soft advisory activity levels, and the seemingly neverending low interest backdrop,” said Sheraz Mian, research director of Zacks, in a recent quarterly earnings outlook. “Adjusting for easy comparisons at Bank of America, overall profitability for the group is expected to be essentially flat from the same period last year, with revenues constrained by continued net-interest margin pressures and cost cuts as the major tool for earnings growth,” Mian explained. BofA’s year-ago results included a payment of nearly $16.7 billion to the Justice Department tied to mortgage-backed securities. It also is benefitting from cost cutting, analysts say. Total earnings for the financial sector, he adds, should be up 6.5%, though sales should weaken 4.2% year over year. 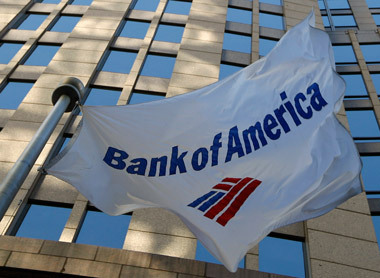 Excluding BofA, the sector’s Q3 earnings would be up just 0.1%. The S&P Financials Index is off nearly 6% so far this year vs. a drop of about 2% overall in the S&P 500. — Check out 12 Best & Worst Broker-Dealers: Q2 Earnings, 2015 on ThinkAdvisor.